Large sized rosary / religious finding, featuring the patron saint St. Mary on one side, and the raised sacramental Mary Immaculate on the other. Double sided design. 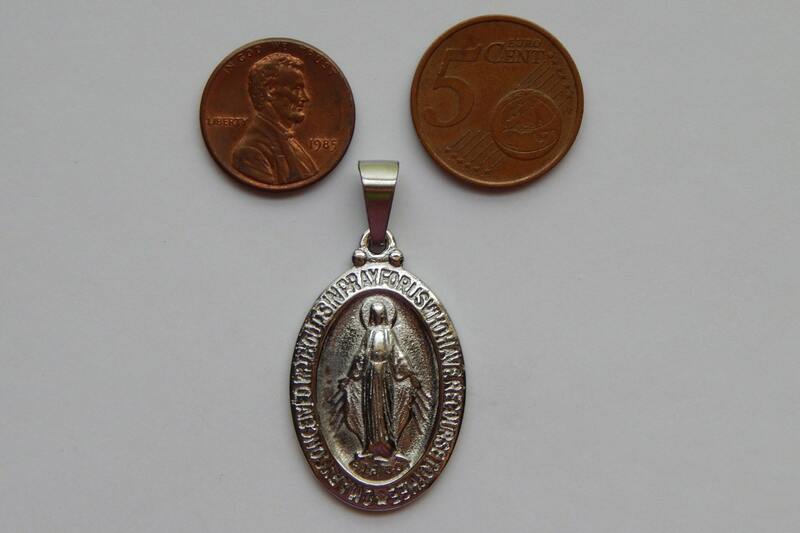 Finding is perfect for attaching to rosaries, chaplets, bracelets, or necklaces. Piece also includes a matching stainless steel bail. Beautiful detailing and quality. 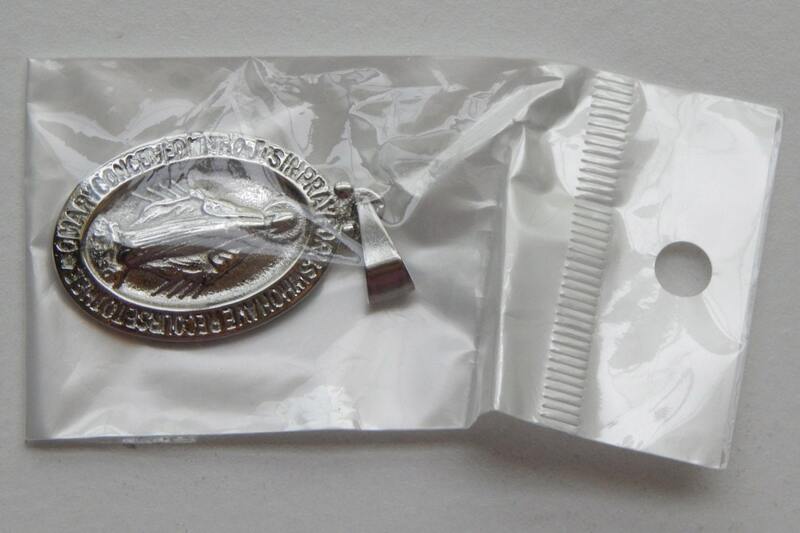 Piece is antique silver in color, stainless steel metal content. 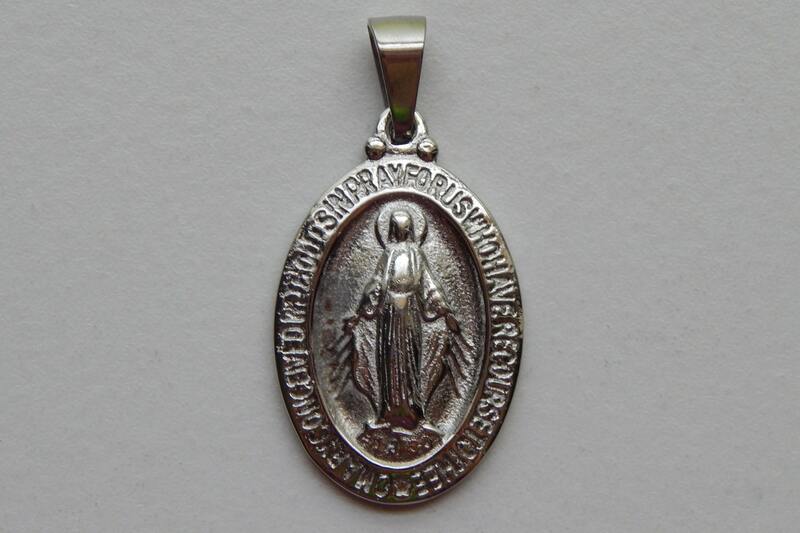 Legend on the front outer edge reads: "Mary conceived without sin pray for us who have recourse to thee." Pieces measure approximately 43mm high x 21.8mm wide x 2.8mm thick (with bail). Bail hole size of 4mm maximum. 1 piece per lot. Size/Measurements: 43mm high x 21.8mm wide x 2.8mm thick (with bail). Bail hole size of 4mm maximum. Patron Saint is St. Mary. 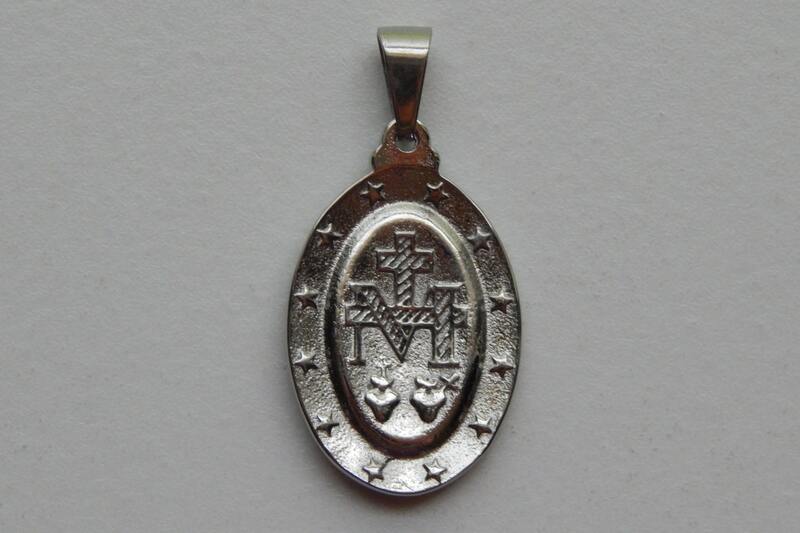 Reverse side features the sacramental Mary Immaculate symbol.